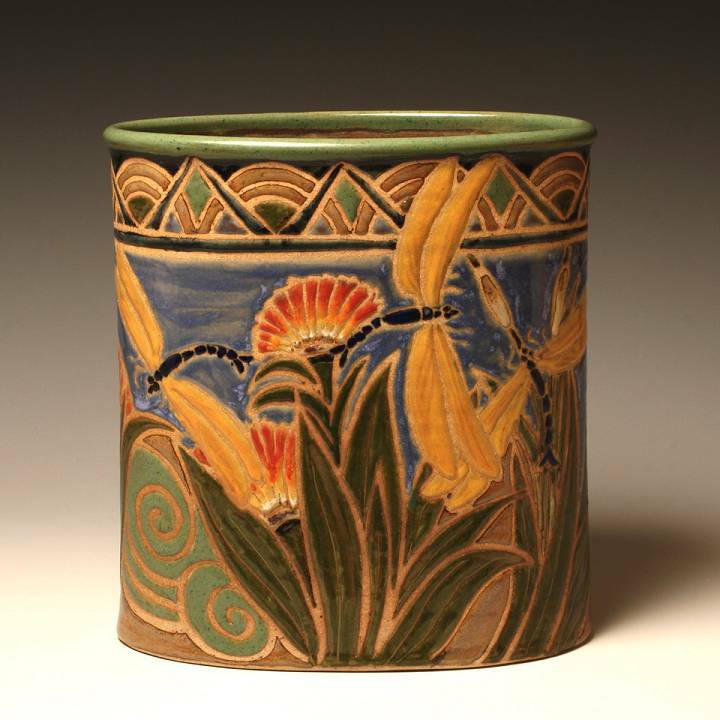 I have been a full time potter since 1976 at the Sunstone Gallery and pottery studio in La Jolla, CA. 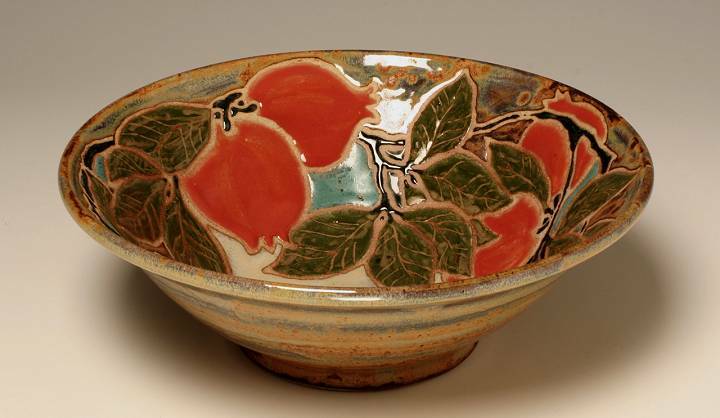 In 1996 I became the owner and Master Potter of the Sunstone Gallery. In July of 2003 I moved my home and the Sunstone Pottery from Southern California to Bend, Oregon. The work of the late 19th and early 20th century artisans and crafts people has always been an inspiration to me. 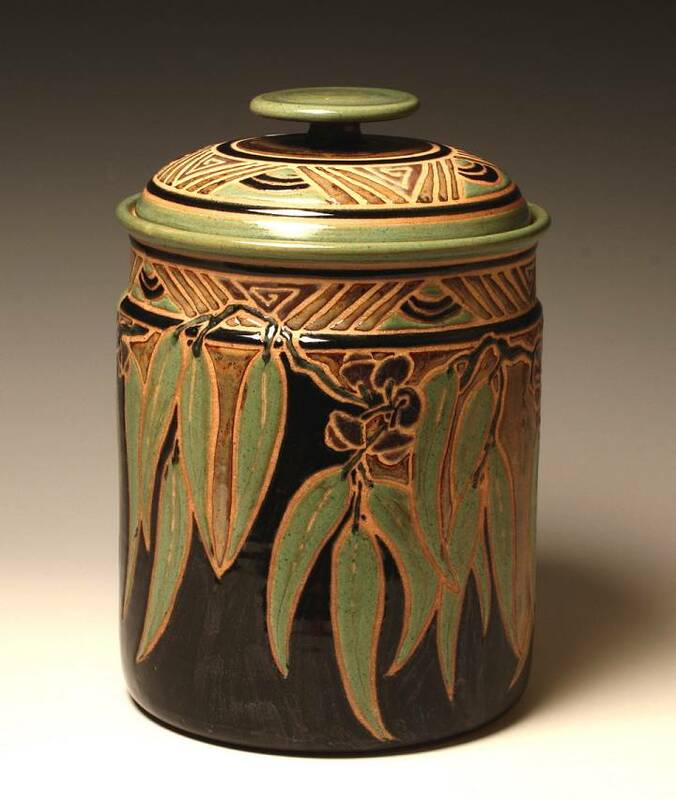 From architecture to pottery, their work had a sensuous style with an emphasis on function and beauty combined. I believe that a utilitarian object should be aesthetically designed and a pleasure to look at, as well as performing a function. I would categorize my style of work as Contemporary Craftsman. I throw and glaze my own forms from high fire clays. The pieces are functional as well as decorative, and all my pots are food safe and oven worthy. The world today is high-tech, modern and a bit impersonal. These days it is a magical feeling to be able to work in such an ancient medium, to mold a lump of clay into a form, to embellish with glaze and subject it to 2300 degrees of heat, and then discover in the finished kiln a beautiful handcrafted work of art. I believe my work enhances one’s home, making life just that much more pleasurable. To see a video of my process please click on this LINK and go OPB’s Art Beat.